Roosebeck 40 x 20 Inch Bagpipe Set Full Size Black Cover BAGERB. Roosebeck Full Size Sheesham Bagpipe Engraved Nickel Plated Black Cover BAGERB. Black velvet cover with Rexine bag, engraved ferrules and sole with imitation ivory mounts. This Roosebeck Bagpipe set has a Rexine bag. Rexine is a soft, synthetic, material designed to be air tight and to feel like high quality suede. The Rexine bag features a contoured goose neck for better airflow. Unlike the natural leather bag, the Rexine bag requires no breaking in period, and no seasoning. 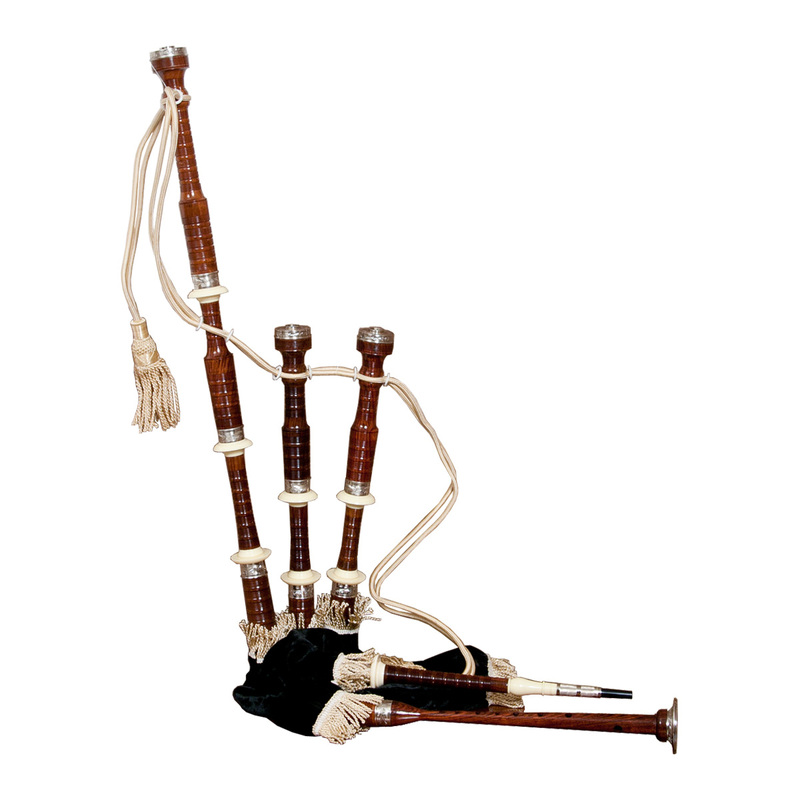 We think all pipers will appreciate the design, the texture and the lighter weight of this set with its Rexine bag. Includes 2 cane pipe chanter reeds, 1 set of aluminum drone reeds with carbon fiber tongues and hemp. Approximately 40" x 20".